K was right yesterday. History is amazing. All those many, many thousands of years people have been getting by. They didn't have Netflix or showers but it was ok because they didn't even know about Netflix or showers. But some things would have sucked. Like the possibility you could get chucked in a peat bog. To think about human history is pretty amazing. But history goes back further than that. How about dinosaurs. When I stop to think about the fact that they actually existed and aren't just a creation to fill sci-fi movies and cover children's pyjamas my tiny mind is always blown. And what about before that?! First there were just tiny organisms and they evolved into all the things that have ever been on the earth. What!?!? I don't just get this feeling of awe and delight when I think about the entire history of the world though. 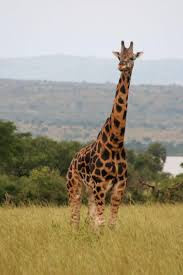 I also have it when I see a giraffe and then think about them in the wild. What a crazy creature.